So I’ve returned! It seemed like such a short trip, and honestly, I didn’t get as much material as I would have liked. On a side note though, my friend is on his way over the Pacific as we speak, and has promised to send some Encounter shots. The first day after we arrived, we took a short trip to Tokyo and as we were walking around Shibuya looking for some good grub, I caught this little RS shooting by. 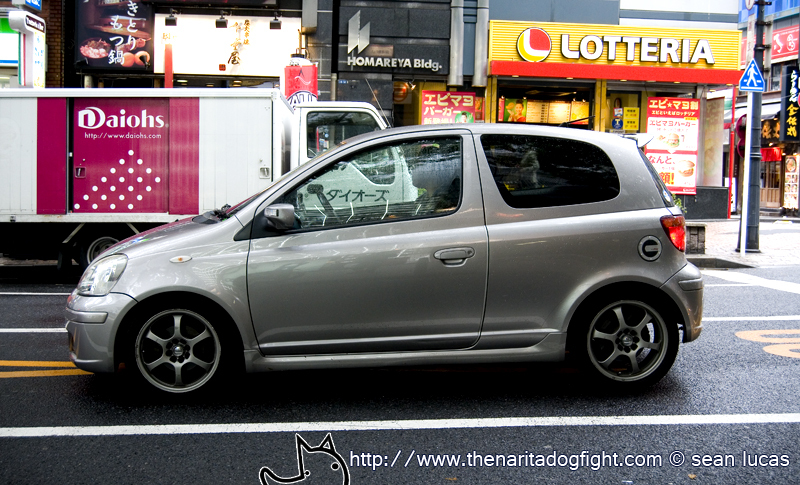 I’m not too educated in Kei cars, but they are still a very big scene in Japan. 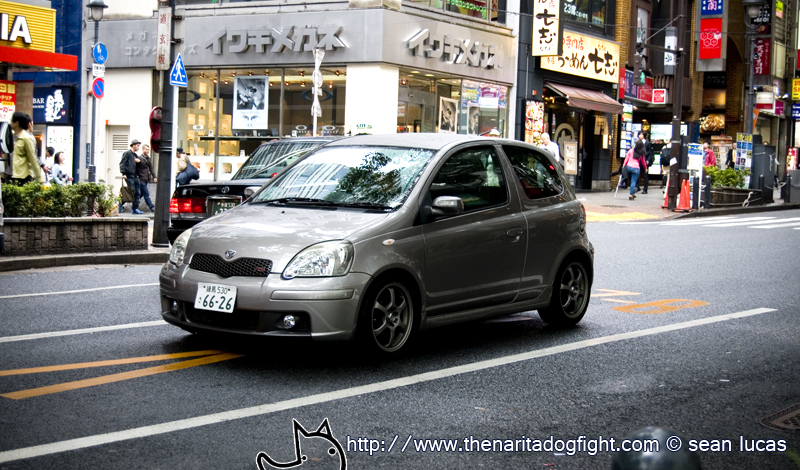 The super-compact Toyota Vitz is popular among Kei Tuners. This is the 3-door hatchback version with the larger 1.5 liter engine, and sportier suspension. A good platform to start with, the owner had upgraded the OEM wheels, and added some new exterior touches. All in all, it looks like a fun little car to drive! Especially around the city.